PEN Canada envisions a world where writers are free to write, readers are free to read, and freedom of expression prevails. Universal Declaration of Human Rights – Article 19: Everyone has the right to freedom of opinion and expression; this right includes freedom to hold opinions without interference and to seek, receive, and impart information and ideas through any media and regardless of frontiers. We believe that without freedom of expression there is no freedom. In defending persecuted writers and fighting censorship, we endeavor to advance civil society, human rights, and the dignity of the individual. 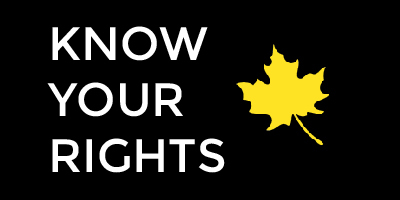 Canadian Charter of Rights and Freedoms – Section 2(b) Everyone has the…freedom of thought, belief, opinion and expression, including freedom of the press and other media of communication. As an association of writers, connected by a network of PEN centers worldwide, we benefit from our diversity, and from the effectiveness and influence that comes from working together. Please read our statement on diversity and inclusivity. We believe that literature helps bridge differences and foster understanding between people. We provide nonpartisan leadership in defending freedom of expression. We strive to uphold high ethical standards in everything we do. We recognize that our success comes from the commitment of members, employees, volunteers, funders, and other supporters.